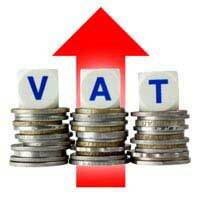 Value added tax (VAT) was increased from 17.5% to 20.0% in early 2011 and on top of a cross-the-board reduction in pay rises it put a serious dent in all our pockets. For those people who are living under the terms of an Individual Voluntary Arrangement (IVA), this is a time of even more hardship. That’s because, if you have an IVA in place and your living expenses unexpectedly rise, you may find it a struggle to keep up with your IVA payments. IVAs are very useful in terms of getting people who previously lived beyond their means to live within a much tighter budget. The downside of this is that creditors tend to keep a very tight rein on IVA budgets, meaning that there is very little leeway if the cost of living rises. Why is an IVA Hard to Change? The nature of an IVA means that you cannot simply request to have your payments reduced to meet the rising cost of living. An IVA is a legally binding agreement; set in place between you and the people you owe money to - your Creditors. How Can you Get your IVA Amended? Should you wish to arrange for your payments to be reduced, you will need to first enter into discussions with your Insolvency Practitioner (IP), the person who drew up your IVA budget in the first place. You should talk to your IP, explaining that your living expenses have increased. If they find that the evidence supports your claim, they can make a direct request to your creditors for a variation to be made to your IVA payments. The IP can put forward a revised budget and plan to repay your creditors, although the creditors themselves are under no legal obligation to accept the revised plan. All of them must agree to it, or to suggest workable alternatives. In order to make the revised IVA legally binding, three quarters of the creditors must vote to agree to the change. If they do, then the variation will be accepted and your monthly IVA payments will be reduced. Bear in mind, however, that reduced repayments does not mean that the amount you owe your creditors is also reduced. You may be asked to increase the number of payments you make, over a longer time frame. These additional payments will depend on how much your monthly payments are to be reduced by. If you feel that you’re the living expenses agreed within your IVA budget are too tight, especially now that the VAT rise has kicked in, then it is worth contacting your IP to see whether they would be willing to hear your case to get them increased. You cannot, however, reduce your payments without speaking to your IP first, as this could cause you to breach the terms of your IVA.